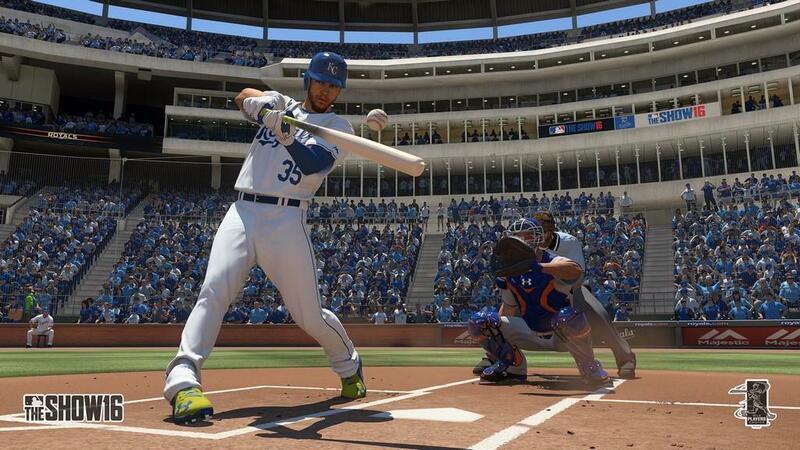 If there’s one series that’s been solid year after year, it's MLB The Show. 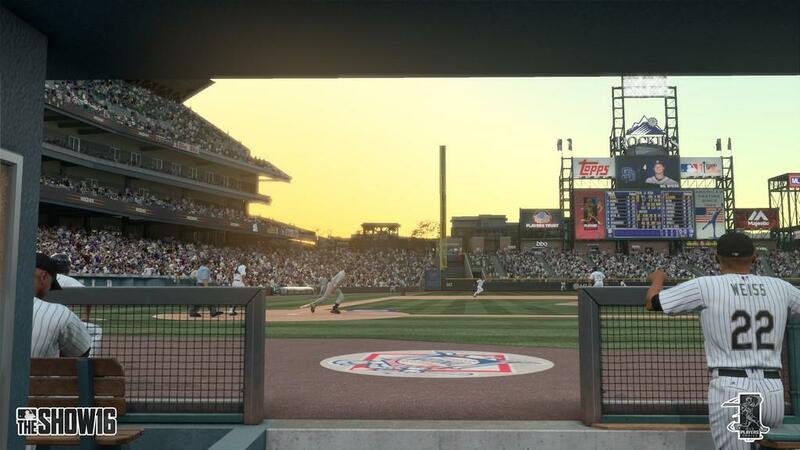 With MLB The Show 16, SCE San Diego Studio continues offering the best baseball game, even if it’s the only baseball game in town. There isn’t much that you have to change, as far as the gameplay goes with the series. It’s still a solid-playing baseball game and it just feels right. 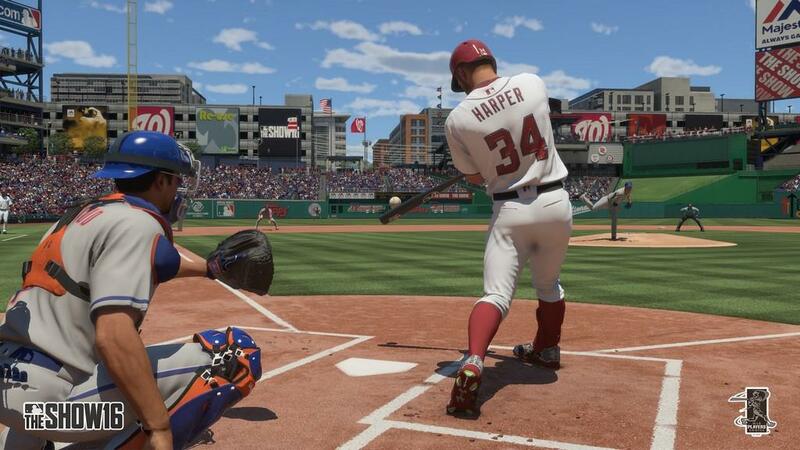 Pitching and hitting is pretty much the same as last year’s version. Pitching is still the circular indicator, which lets you know when you are in the overthrow area. Pitch too much there and you can expect a much higher rate of error. 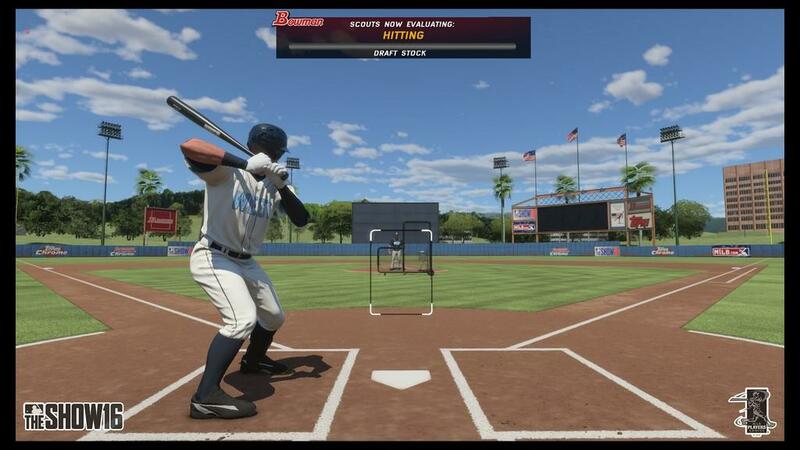 Hitting still consists of pressing a button that corresponds to how hard you hit, and you can use the thumbstick to point to where you want the barrel of the bat to be. 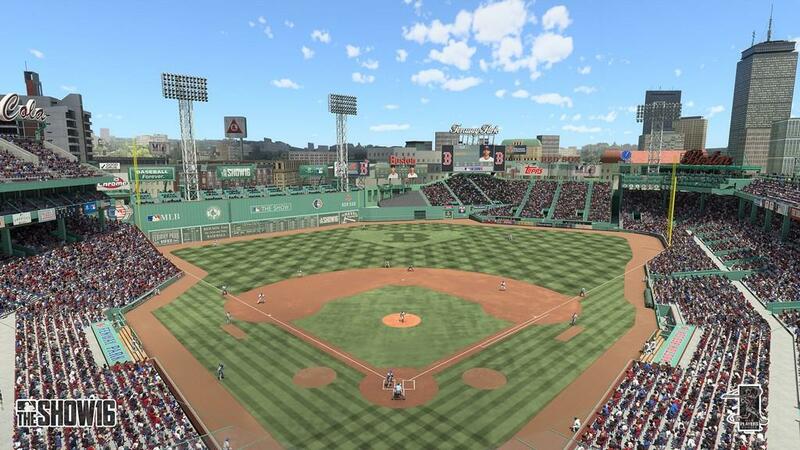 You’ll still be able to guess the location and the pitch type, making your correct guesses increase chances of getting a base hit. Throwing is a little different with a new indicator. 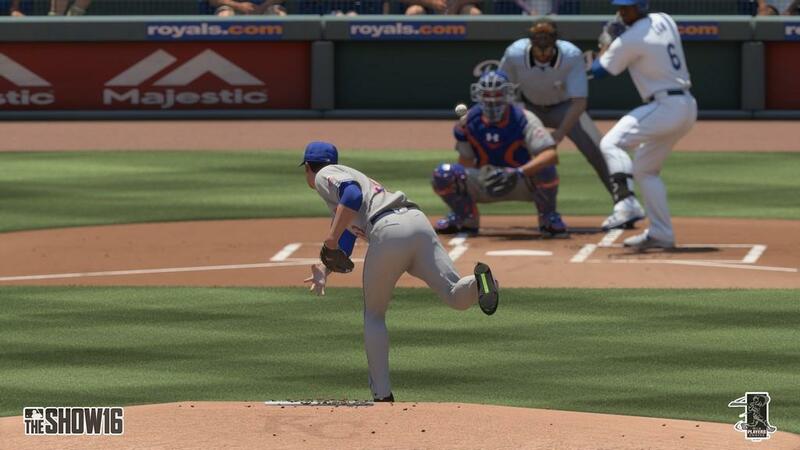 You’ll definitely want to preload your throws before the ball gets in your glove. The new indicator will let you know the power of the throw that you preload. 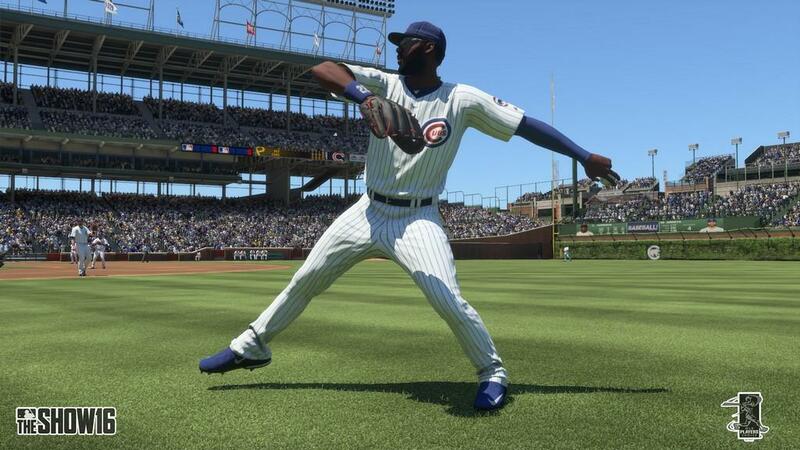 With preloading, you’ll set up a throw to the player you want before the catch is made. 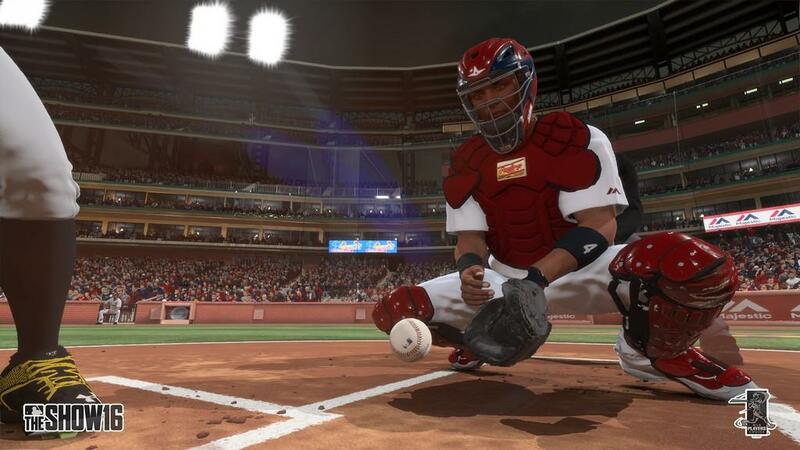 This ensures you make a nice smooth motion from catching to throwing and increase your chances of getting the runner out. Some of the slow throwing animations that can happen at times when you don’t preload your throw is not realistic. How often do you see a player nonchalantly throw a ball to a base where a runner is going? I can understand wanting to make throwing more reactive, but I think the slow throwing needs to be cut down a lot or eliminated in these situations. I still get caught up in the camera angles switching fast and being a little disoriented on some hits when playing in the outfield. Sometimes you need to make a split second decision on where to start running on a fly ball and the camera switch can cause you to pause just enough to make a very catchable fly ball into a double for the offense. One of the new things I do like is that with the base running, you see the button icons for the player that you want to send running so there’s a lot less confusion. 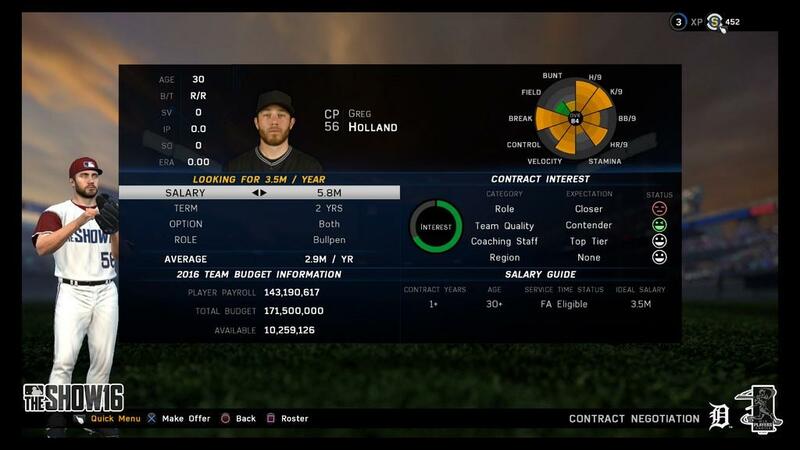 For some reason, I still hesitated or hit the wrong button in trying to send a player for an extra base or a steal. Now, there’s a nice visual indicator on which button I should press--for those that are forgetful, like me. On defense, you’ll still see the button label for the bases to throw it to, and I found these little labels helps me tremendously when I’m trying to quickly get the ball out of my hands and into the glove of the defensive player. 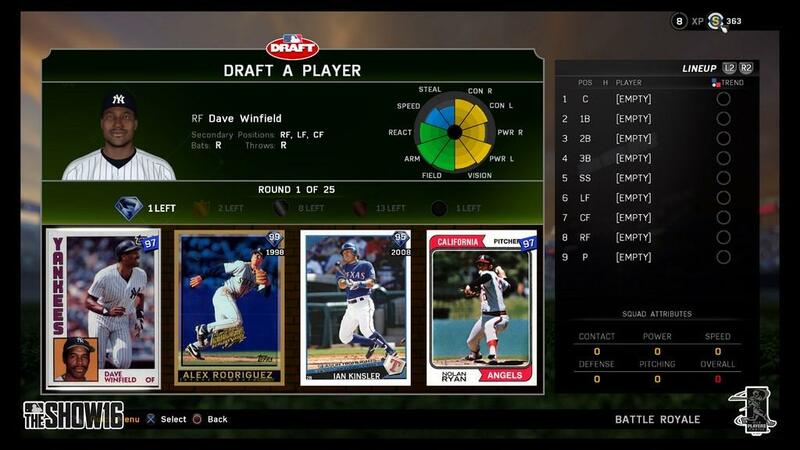 Road to the Show is still my favorite feature of MLB The Show, and one I spent the most time on. 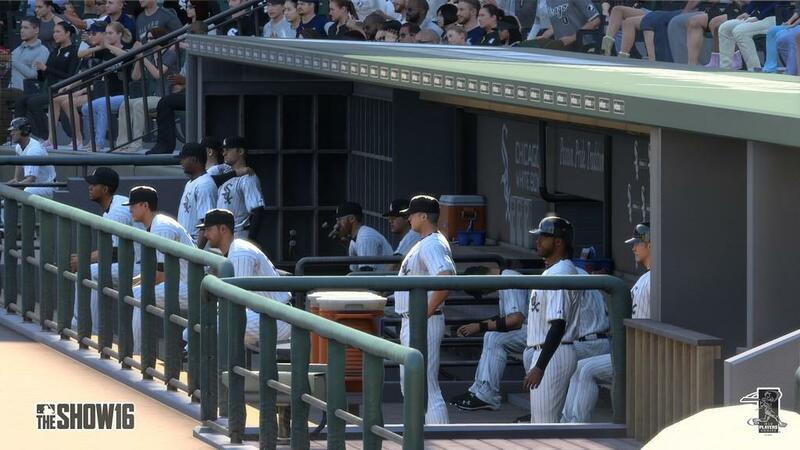 You’ll start in the minor leagues and work your way up to the majors as well as increase your player’s abilities along the way, like a sports role-playing game. The developer did a great job streamlining the feature by allowing you to play through a series without having to deal with the menu between games, and you can still access the training menus before games. Scouting is how you start out, and you’ll showcase your skills in drills and games before being drafted. 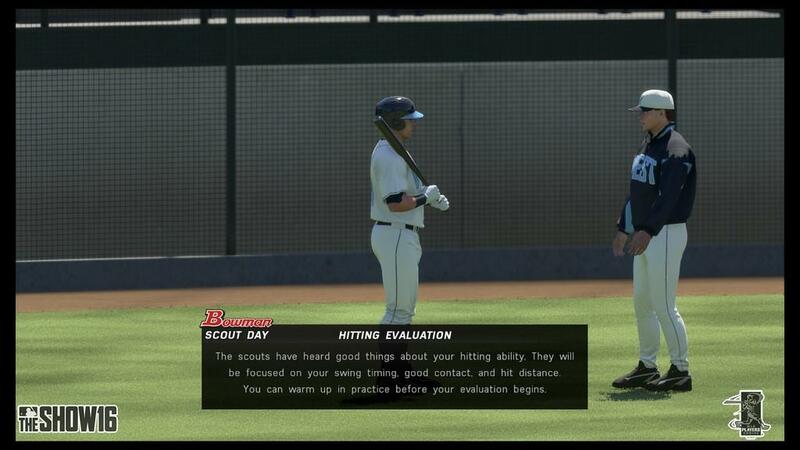 Show off your hitting and fielding to the scouts and, after a few quick demonstrations where you can earn some training points, you view the draft and the team that finally picks you. I do like how you can increase or decrease your draft position by how well you do in these drills. 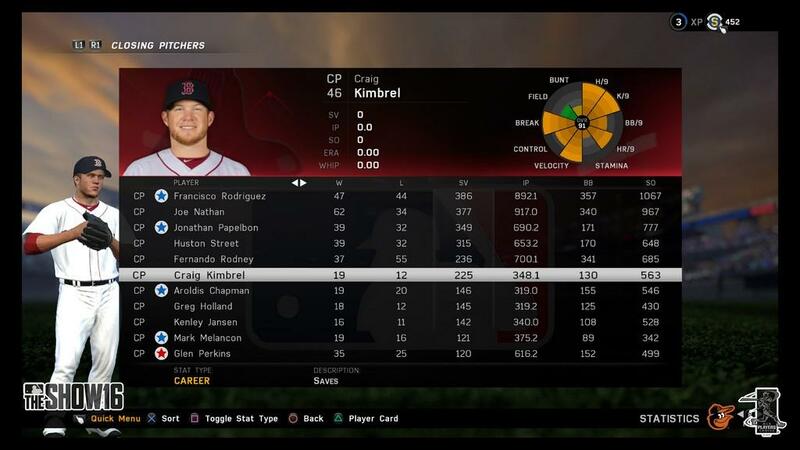 It makes starting a Road to the Show player a little more dynamic. 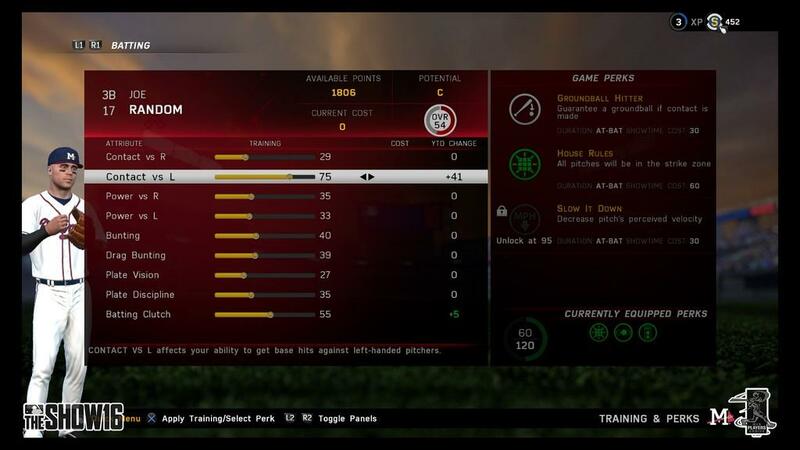 To help the more casual players do well in Road to the Show, SCE San Diego Studio added what they call Showtime mode. There’s a meter that gets filled, which you can then activate Showtime, slowing down time. Whether it’s defense in snagging a ground ball or at the plate in trying to get the crucial hit to put your team on top, you can slow down time increasing your chances of doing a lot better than if the play was happening in real time. 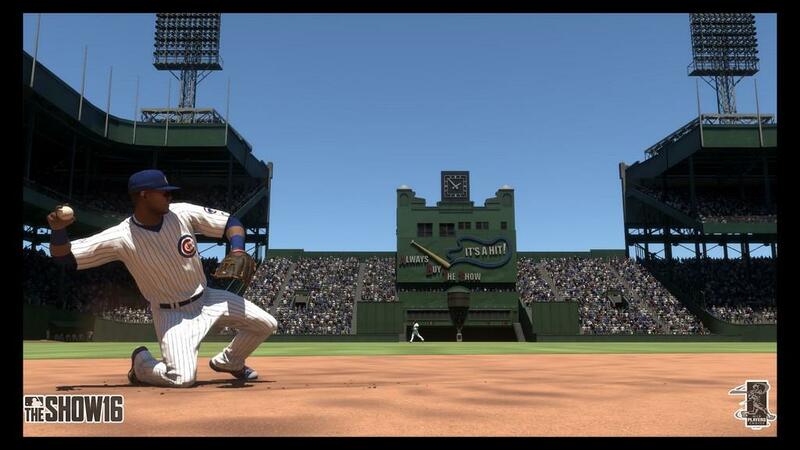 I don’t like how with fielding, the Showtime mode activation seems random and there’s really no indicator it will be available until you’re well into the action. But that’s the only issue I have with it. Having played many games in the series, I never used it. Along with the consumables that you can earn, these features can help improve the experience for those who aren’t as good, or want to really create those SportsCenter highlight plays. Thankfully, Showtime is only available in The Road to the Show, so it doesn’t interfere with games against others, and it’s optional. 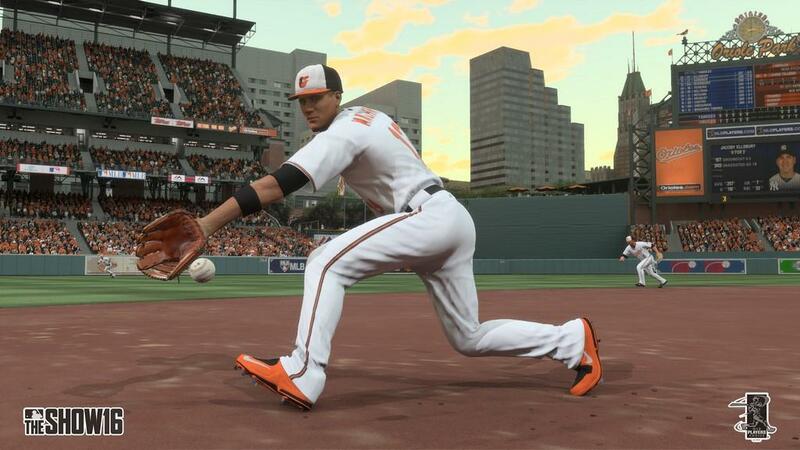 More animations and cleaner graphics means a better-looking MLB The Show. 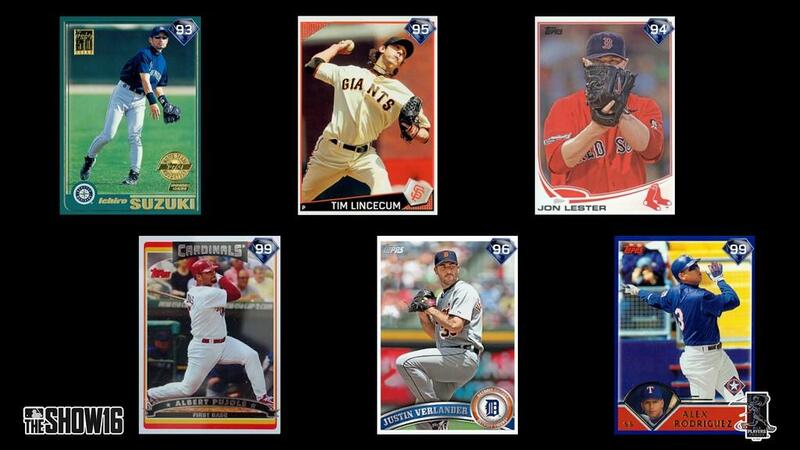 SCE San Diego Studio has done a great job at gradually increasing the visuals each year. Textures on some areas have improved making some of the surfaces look more realistic. 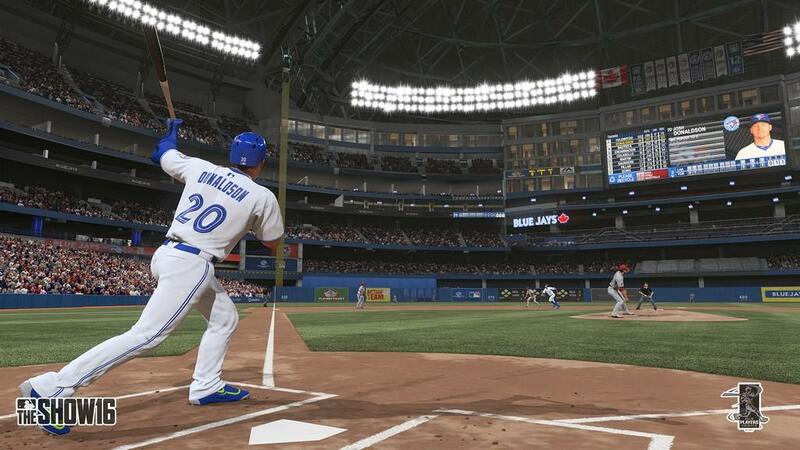 It definitely looks and feels very fluid, with players looking very natural transitioning into various animations. It’s not a huge improvement over the previous year, but there are enough small things here and there that it makes a great-looking series even better. 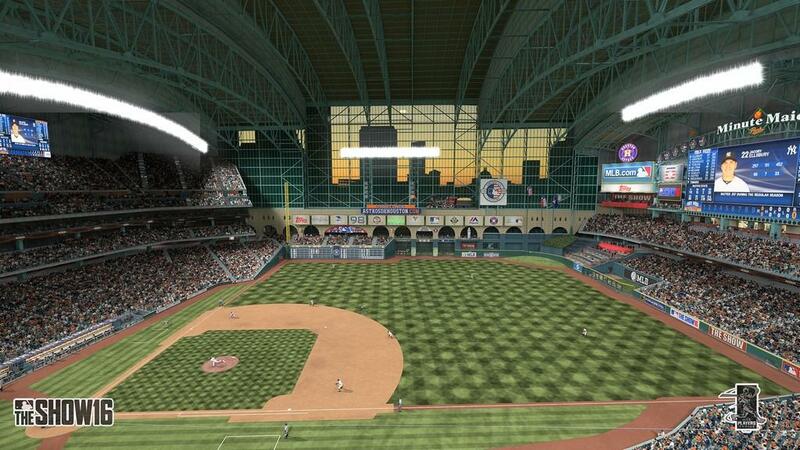 All of the stadiums are rendered in incredible detail. It really feels like you’re at the park. Even the minor league ballparks get that great attention to detail. Having visited Huntington Park a few times to watch the Columbus Clippers, I recognize the architecture in the game. A new addition this year is the ability to close or open retractable roofs. Yeah, no more rain at Miller Park, finally. The crowds are still diverse and are done well. One of the things I hate in sports games is when crowds look like they are just carbon copies of segments around the arena or stadium. 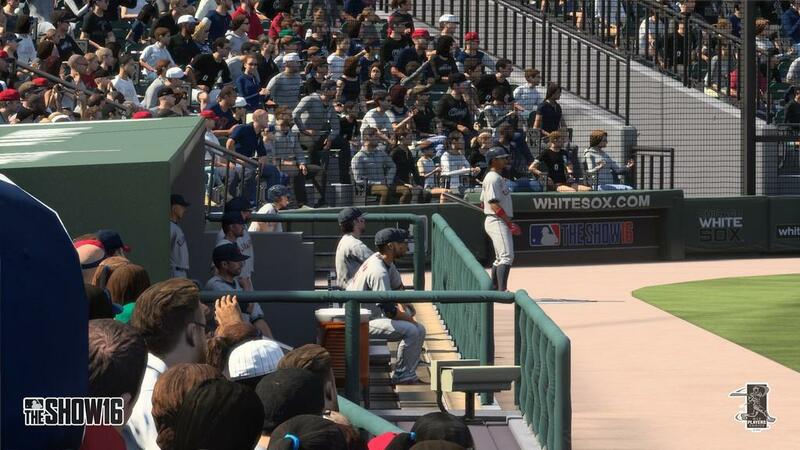 MLB The Show 16’s crowd and crowd reactions are mixed up a lot. It's hard to spot the duplicates, giving the illusion that they are more alive. The UI is as solid as ever, offering up a plethora of information that’s easy to read and follow. 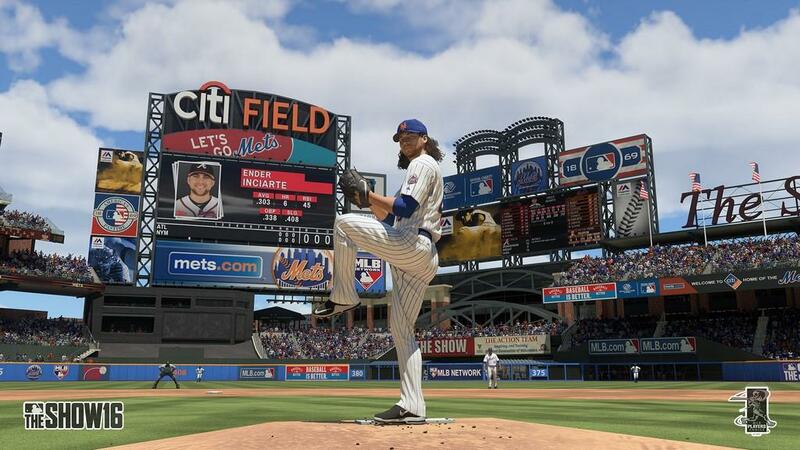 A lot of baseball is about the stats, and MLB The Show 16 presents everything well. When I say there’s a lot to digest, stats-wise, there’s enough here to make any baseball stats nerd happy. 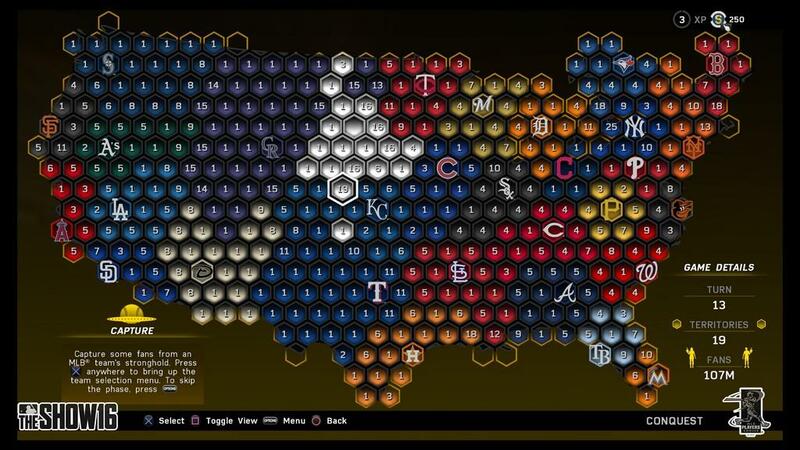 For those that play a lot of franchise mode, this can really help you make good decisions on your players and what to do with them. One thing still not fixed is the load times. Transitioning between games can sometimes take awhile. It’s one of the few annoying things about the series. 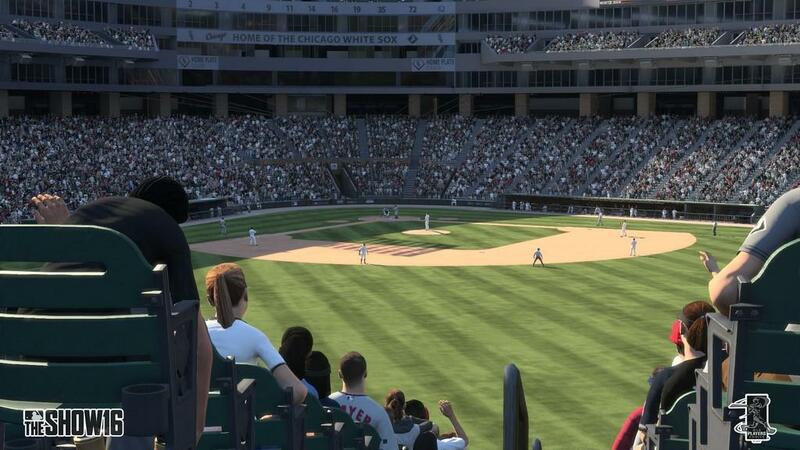 Here in MLB The Show 16, it’s still an issue, but at least there’s an improved time in between games during Road to the Show because of the streamlined interface. I installed the digital version of the game so no disc was in the PlayStation 4 when playing. It may be a little shorter in time to load, but it’s still one of the more frustrating aspects. Another thing that also needs improved on is the two-strike bunting that seems to happen all too often. You rarely see it in the majors. But having played a few weeks, I’ve seen it all too often. 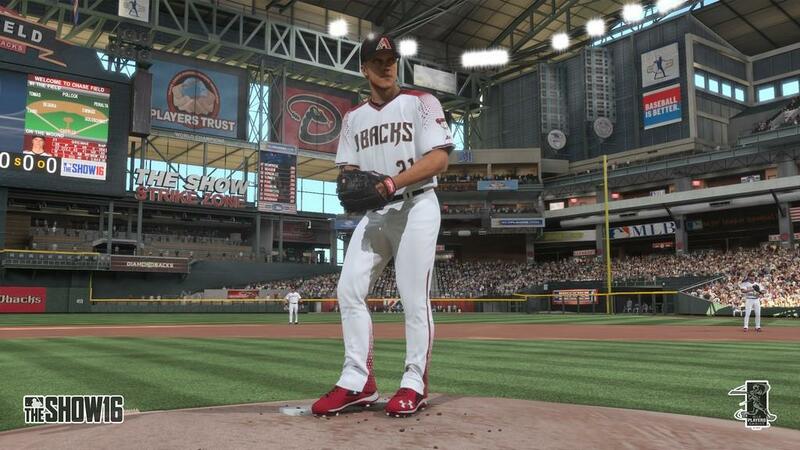 If you own last year’s version, I don’t know if it’s worth it to plunk down the money for MLB The Show 16. 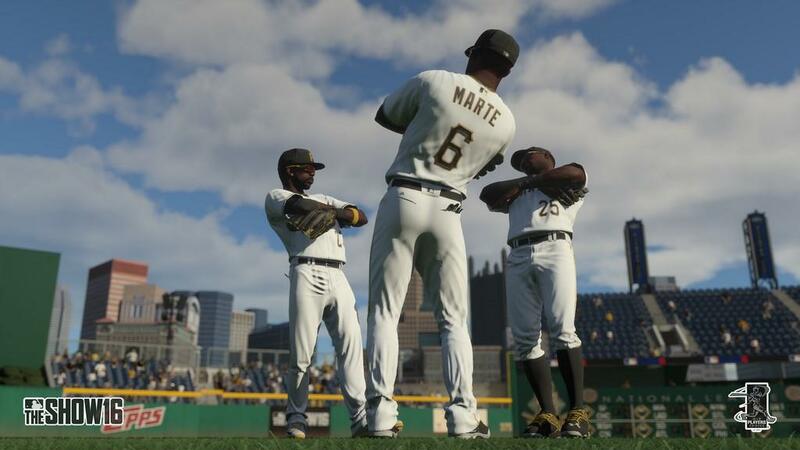 For franchise-heavy players, it’s definitely one you can pass on and wait for next year. If you skipped last year, it’s a good game to pick up for improvements from the previous year and this year as well. 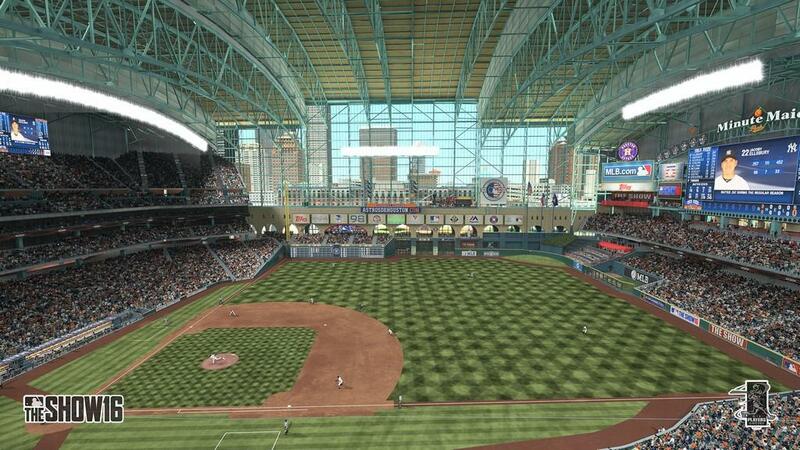 While it has some problems, they aren’t all humongous and it’s still a solid baseball game. Improvements around Road to the Show make it a lot better to play through, which I love. Hopefully, we get a major engine overhaul next year, as I think it’s about run its course. Another year and another good outing for SCE San Diego Studio. 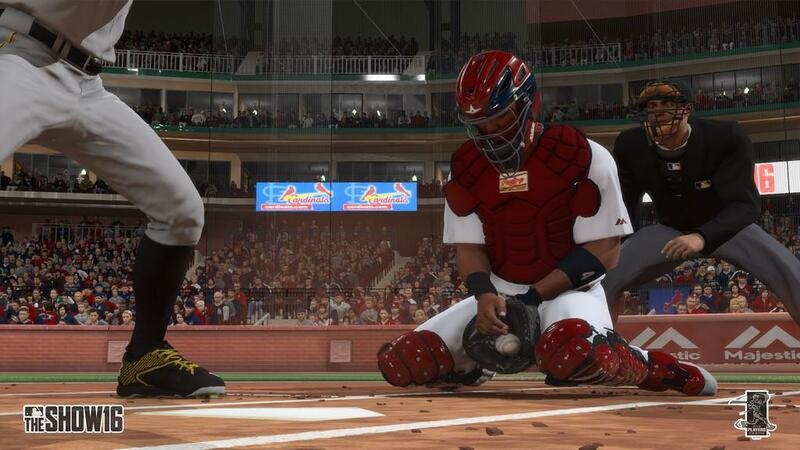 MLB The Show 16 has some great improvements for Road to the Show, but some problems still persist. 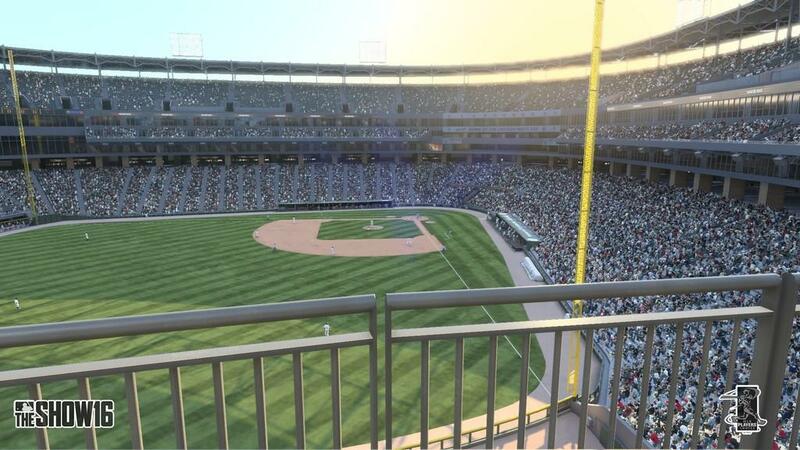 Baseball lovers will definitely enjoy the game.